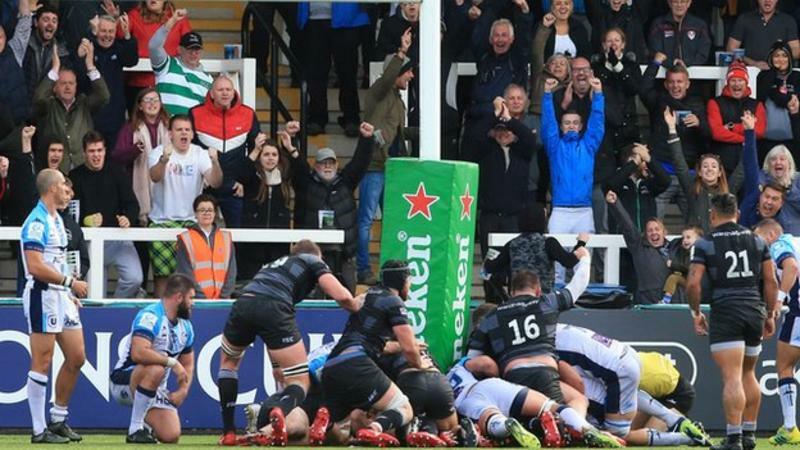 At Kingston Park, Newcastle slayed their second successive French giant to continue their excellent start to the season, beating a Montpellier side featuring a dozen internationals. The hosts raced into a 10-0 lead thanks to a penalty from flyhalf Joel Hodgson and converted try from flank Gary Graham. 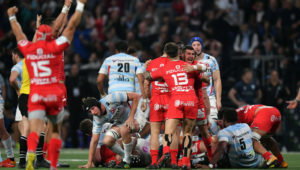 Hodgson and Montpellier scrumhalf Ruan Pienaar then traded two penalties each to allow the Falcons to go 16-6 ahead at the break. It was the Top 14 side who started the second half the strongest as Pienaar cut the deficit to just four points with a couple of penalties. The inevitable try followed when French hopeful Paul Willemse made a disappointing week better by bundling over from a maul. Pienaar missed the conversion but slotted a penalty before Newcastle replacement prop Logovi’i Mulipola was yellow-carded for a high tackle. As time ran out, Montpellier were camped near Newcastle’s 22 and looked certain to secure a win but gave away a cheap penalty, allowing the hosts to enter their 22. 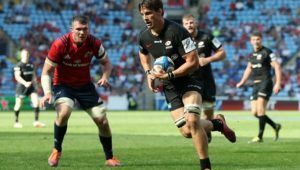 The Falcons faced a test of their patience on attack as they took the ball through a staggering total of 39 phases before 21-year-old flank Callum Chick made himself a hero by driving over from close range. 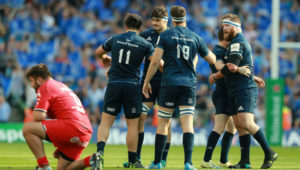 In other results, defending champions Leinster were stunned by Toulouse, who claimed a 28-27 victory to condemn the visitors to their first defeat in France since April 2017. Toulouse fullback Maxime Médard scored a try in each half, his second coming crucially in the 68th minute to put the home side ahead after they let a 21-13 lead slip to trail 27-21. Meanwhile, the Glasgow Warriors had a far more comfortable afternoon as they scored four tries for a 29-12 bonus-point victory against the Cardiff Blues.